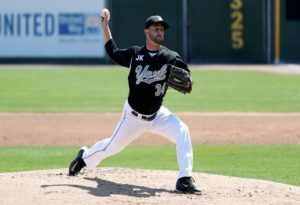 There really is no conventional route to professional baseball and New York Mets minor league pitcher Zac Grotz in no exception. While most players never make it to the big leagues, there are always those players who defy the odds. In 2015, Grotz was drafted out of an NAIA school (Embry-Riddle) by the Houston Astros. He spent the next two years in the minors followed by two years in Independent baseball. Those two years in Indy ball resulted in an All-Star appearance and a 21.2 inning scoreless streak. Despite having to refocus and reset his priorities, Grotz is the kind of player you can’t help but root for. The GM’s Perspective: What did it feel like getting that call from the Mets? Zac Grotz: This is my second professional minor league deal, but it’s one of those things you hope happens when your numbers are good. When it finally does, after being in the Atlantic League for the past year, makes all the work you’ve done in the offseason worth it. GMs: Does the back and forth, and the business side of the game, frustrate you since you’ve put together some good numbers throughout your career? ZG: It’s tough how it works and not everyone is OK with how it works, but we’re all used to it. That’s the way it is. Not everyone is going to get a chance to play in the big leagues, but everyone is hoping they get the chance to get up there and see what they can do. GMs: You had your first start with the Fireflies, and went 7 and 2 thirds, giving up two runs. How did you feel after that game, knowing that the next phase of your journey is up and running? Does it have that redemption feel to it? ZG: I try to go about that every day when I play. It happens when you don’t get another day to play. 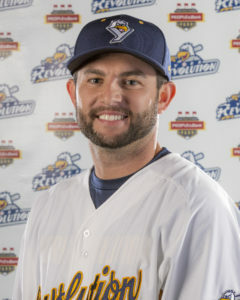 For me, both times in affiliated ball, I thought there’d be another one, but I ended up throwing my last game for them and ended up in the Indy league. Now I have some notes and words I read everyday ie. play like its your last day, you know, a bunch of motivational stuff that keeps things in perspective. GMs: Is there much of a difference when comparing the competition from Indy ball to the affiliated ranks? ZG: There is when comparing the Atlantic League and Low A, and there’s a difference from the Frontier League compared to the Atlantic. Based on my first start here, the Atlantic League has more disciplined guys. They’re a bit more older with more experience. They have an approach at the plate, but being older, their swings are a tad slower. I could throw the fastball by guys more often in the ATL. Here in Low A with the younger guys, they’ll foul off the fastball because their hands are quicker. They weren’t necessarily putting the ball in play, but atleast fouling it off. GMs: What’s the biggest takeaway from Indy ball that could potentially help other players? ZG: Guys get complacent and get caught up in the Indy ball system. Not to say you shouldn’t have fun, but becoming too happy with the situation. I’ve fought with that also. You’re having too much fun. I don’t need to go out all the time and have drinks with my teammates. There’s a time and place for that, but I made a point this year where I put everything in perspective. I didn’t want to be in one place the entire year. The worst thing you can do is to be complacent and go to the field and not put forth the extra effort to get your stuff done.